I wrote earlier in July 2014 about re-branding Wadiah following discussions the industry had with BNM. In that meeting, the key take-away was that there is an intention to re-brand Wadiah into Qard, to which the industry reacted negatively as Wadiah has always been used for short-term deposit structures where discretionary hibah “gifts” are given to depositors. BNM contention was that Wadiah do not meet the practice of the Bank where Wadiah was supposed to be taken as “safe-keeping based on trusteeship” (Wadiah Yad Amanah) or “safe-keeping with guarantee” (Wadiah Yad Dhamanah). 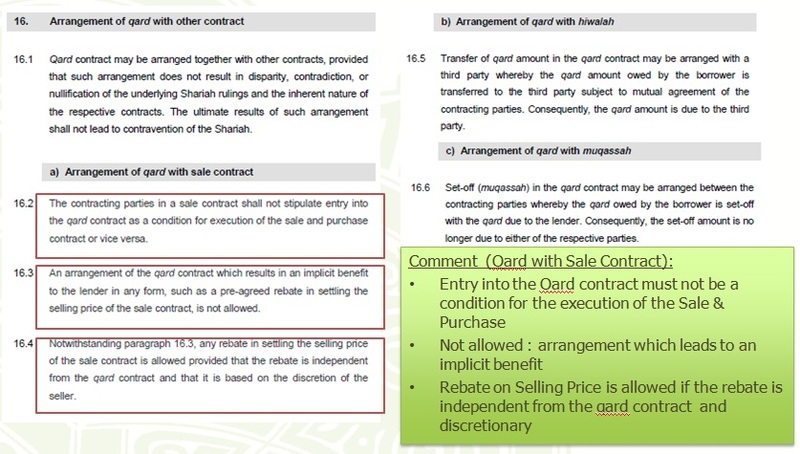 The main argument was the under the Wadiah structure, the ownership of the fungible asset remains with the customer and the Bank has not obtained sufficient consent from the customer to utilise their funds, specifically for Wadiah Yad Dhamanah. The solution for the above conundrum, offered by BNM, is therefore, migrate to Qard-based products, where by virtue of it being a loan from the customer to the Bank, the ownership is transferred to the Bank allowing the Bank to utilise it as it pleases, while guaranteeing the loan amount upon demand (you have to repay back the loan). 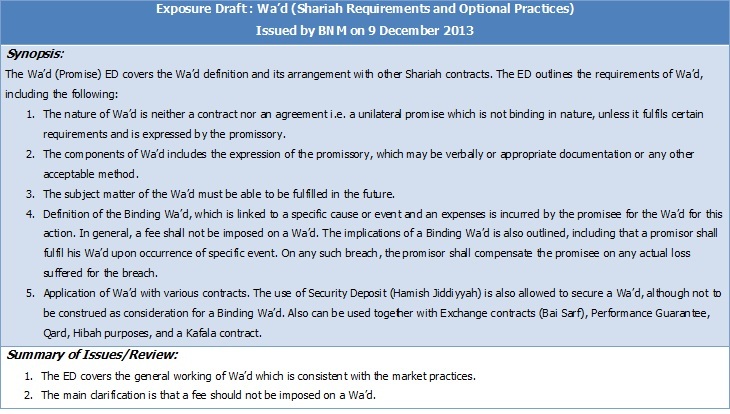 As mentioned in my earlier writing, some industry players has clear reservation to convert Wadiah to Qard, seeing that the various guidelines are coming thick and fast to comply with requirements under Investment Accounts. Handling another major change in regulations will just hamper the industry’s growth. Now, 16 January 2015. The revised Concept Paper for Wadiah was issued. We are given 1 month to respond with our feedback. The Bank takes Customer Assets and safely keeps as Wadiah in the Bank until a request to withdraw the Asset is made by the customer. The Bank must return the initial Asset to the customer upon request, with no obligation to provide any other benefits. The Bank does not have the right to utilise this Asset under Wadiah anymore #. 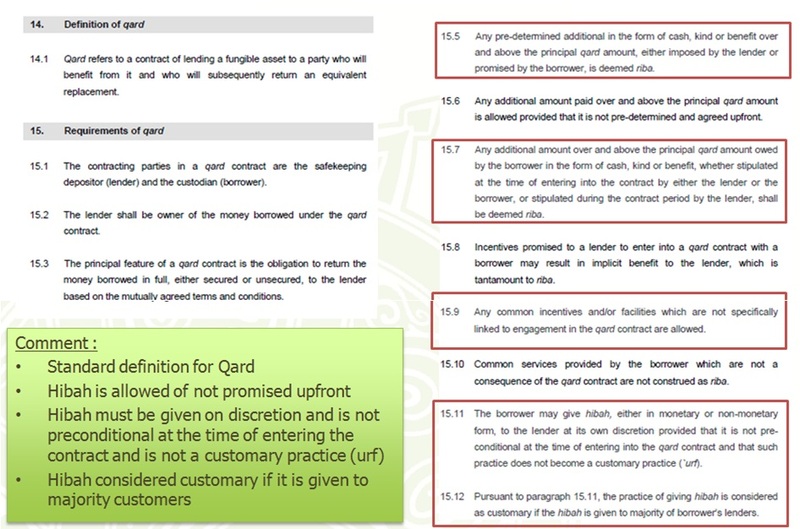 If the Bank intents to utilise the money for purpose of generating returns, then the rules of Qard must apply i.e. for the Bank to obtain the right to utilise the money, the ownership of the money must be transferred to the Bank i.e. the customer no longer has financial and ownership rights when the funds are utilised by the Bank to generate returns. It is a loan by the customer to the Bank. As owner of the money now, the Bank has full rights to the returns. The Bank has no obligations to the customer except of return of the loan on demand. Discretionary hibah “gift” may be given, but questions may soon come on its validity when it is deemed as “Urf” (customary, no longer discretionary). 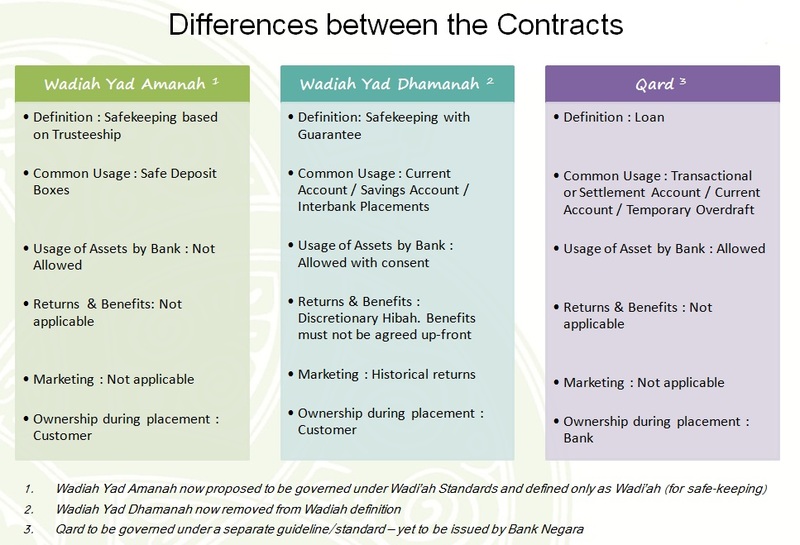 # Previously under the rules of Wadiah Yad Dhamanah, if the Bank intends to utilise fungible Assets deposited by customers to Banks such as money, sufficient consent must be obtained before the Bank utilise the money for other purpose (including for generating returns). In reality, this consent is really lacking especially for a daily product such as Current Account or Savings Account, resulting in insufficient rights to use customer’s fund to generate returns. The Banks are also not allowed to agree the returns up-front for the use of the money yet circumvents this by publishing historical rates of returns instead. This “historical return” soon was construed as non-discretionary and deemed as returns that is treated as Urf’. Therefore, Wadiah Yad Dhamanah was totally removed by BNM as a viable Islamic Banking concept, and now to be replaced by Qard (where ownership of funds are wholly transferred to the Bank). In any circumstances, Banks do utilise the Customers’ money for banking activities, including investments. If we retain Wadiah under this new BNM definition, then it will greatly impair Islamic Banks if we are not able to utilise collected funds for generating profit. The Wadiah moving forward will only apply for Safe Deposit Box services where the Bank can charge a minimal fee for safe-keeping services. Trying to apply it to anything else will be a challenge. The Qard guidelines needs to come sooner than later. At least the Exposure Draft or the Concept Paper needs to be available for discussion and for Banks to assess the Impact going forward. The impact by IFSA 2013 will be fully felt right after the coming months of June 2015, and this new regulation will further add to the re-branding of Islamic Banking currently taking place in Malaysia. One of the panic buttons we are pressing now is the new Wadiah Exposure Draft (ED). As a rule, Wadiah is a “safe-keeping with guarantee” arrangement, where a Bank agrees to take on-board customers deposits as a loan (Qardh). And in the rules of loan under Islamic Banking, a loan must be returned on the same amount when required; any amount above and beyond the loan amount, if put as a condition at the start or during of the deposit placement, may be construed as “Riba”. If the Bank utilises the deposits for any business activities, the Bank is given the discretion to award “Hibah” or gift payments allocated based on the balance outstanding. With the introduction of the IFSA and the requirements that Malaysian Banks comply with the Investment Account Framework if Mudarabah continued to be offered to Customers, the common wisdom is to migrate lock-stock-and-barrel into a Wadiah account. In my earlier writings, I already mentioned that to comply with the Investment Account Framework, a massive shift in thinking, processes, and management is required. Therefore to convert into a Wadiah structure may not be the ideal solution, but it will provide an “easier” route towards retaining Customers’ deposit. However, in this chess game between the Islamic Banks and Bank Negara Malaysia (BNM), the new ED is introduced on Wadiah has effectively further tied the hands of the industry players. BNM had anticipated the industry intentions to move the Mudarabah structure into Wadiah, and promptly outlined further restrictions on Wadiah itself. The industry is now caught between a cold and hard place; stay with Mudarabah and comply with Investment Account Framework, or migrate into Wadiah and comply with the new Wadiah Guidelines. Wadiah Yad Dhammanh is considered similar in nature to Qard. Therefore the rules of Qardh should also apply to Wadiah. The payment of the discretionary “gift” should not be construed as regular or common business practice (Urf’ Tijari) else it will imply that the “gift” is a constant return to the customer. Historical performance can be shown to customers. Any benefits, monetary or otherwise, deriving directly from the placement in the Wadiah account may be construed as “Riba” as well. 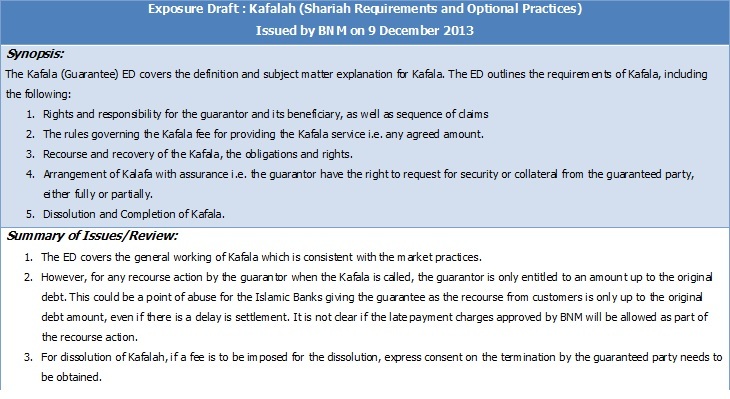 Any benefits includes scenarios where should the Wadiah account be opened as part of a financing facility, and benefits enjoyed in the financing facility from amounts available in the Wadiah account (for example a rebate structure to off-set an obligation), shall be construed as riba’ as well. My main question is; now that Mudharabah is turned into a pure investment account, and Wadiah carrying so many restrictions, what other solutions are there? It cannot be that BNM only expects us to comply but do not help with a viable solution on these restrictions. 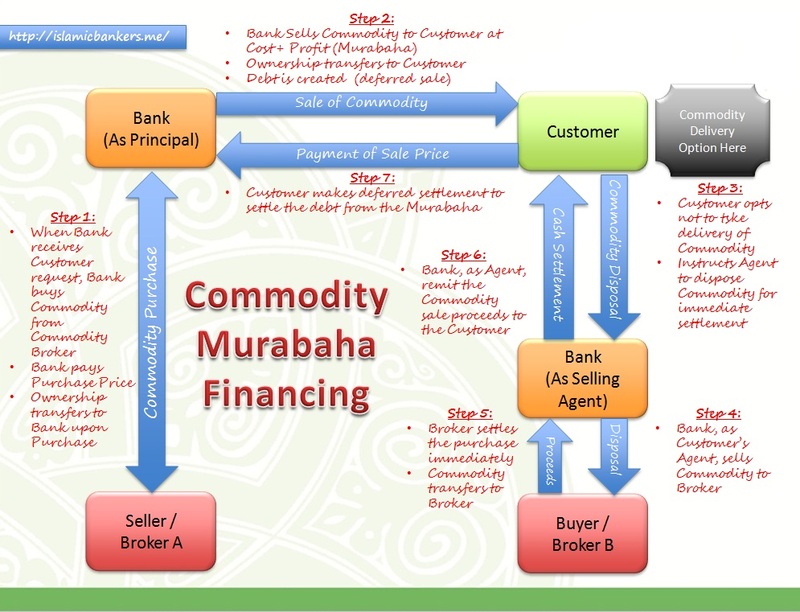 Yes we are looking at the Commodity Murabahah structures, but operationally this will be a challenge for the Banks to control the cost of commodity trade. And how do we define majority, then? The system must now be enhanced to determine who gets the discretionary “gifts” based on which formula. Even if they qualify for the discretionary “gifts”, to award them on a regular basis will also lead to it be construed as “Urf Tijari”, where consistent payment of Hibah will imply a similar future returns. How do we define this “non-majority” of Customers whom qualifies for Hibah but do not get regular awards of Hibah? What system logic can we build and will what we build be acceptable to Sharia? More importantly, would the customer even accept such “discretionary” practice? Now that BNM has issued a new Concept Paper on Shariah Requirements, Optional Practices and Operational Requirements of Mudarabah today, we get a somewhat watered-down requirements to Mudarabah products. I have read it and saw that under this new Framework, the Mudarabah structure remains viable as it is, with enhancements needed for documentation and disclosures. Manageable and workable. The next steps must be; if we were to stick with Mudarabah, which Framework will take precedent. Mudarabah is an Investment structure. 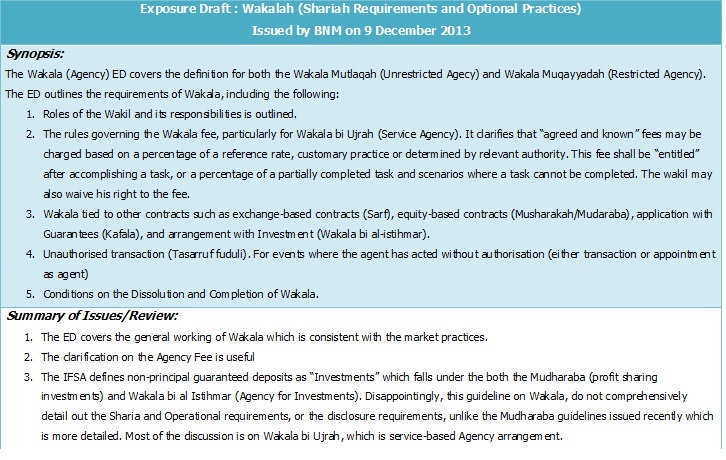 So, would we follow the Mudarabah Framework, or to comply with the Investment Account Framework? Both Frameworks makes reference to each other; yet one is stricter than the other. I am putting all my hopes on the new Framework. That will give me some leeway of having both Wadiah structure and a viable Mudarabah structure (not based on the Investment Account Framework). This is definitely the light at the end of the tunnel. But as usual, indications are to take the “stricter” guidelines into account, rather than keeping hope for an easier implementation.